This spring, a very special year-long series of events begin for the Suffield Players, commemorating 60 years together. The "Diamond Anniversary" festivities start during their performance of "Lady Windermere’s Fan" by Oscar Wilde. 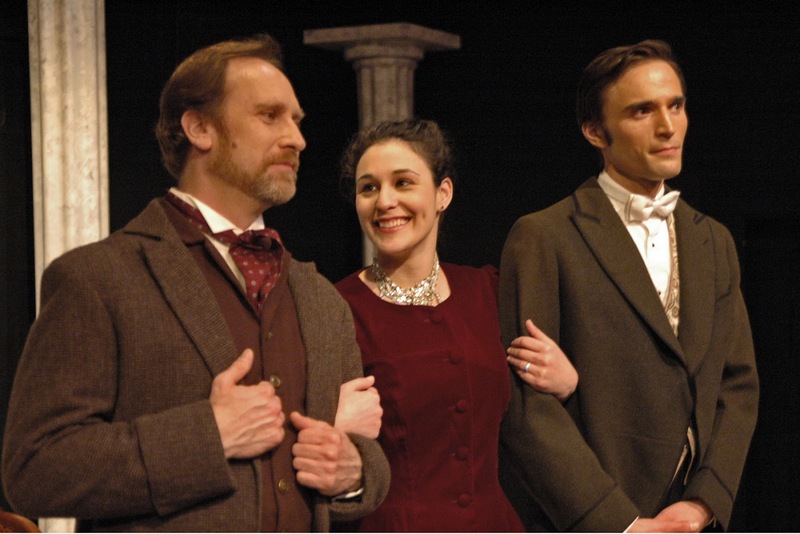 This play, the Players’ 140th production, runs through May 19. Suffield Players veterans ("Diamonds From The Past") who are in the audience will be recognized during the opening remarks before each performance, which are usually given by President Robert Lunde, or by longtime Technical Director Jerry Zalewski. The kindness and talents of folks who supported Suffield Players over time are in the spotlight this year. The group will also award free tickets to the 60th patron ("A Diamond In The Door") who walks into Mapleton Hall to attend any "Lady Windermere’s Fan" performance. More special recognition awaits anyone who makes a $60 contribution to the "Sixty Dollar Stepgift" fund, which will be dedicated to repairing the steps and balustrades of historic Mapleton Hall’s portico. These generous supporters will be listed with honor in the Suffield Players Programs and Newsletters throughout the "Diamond Anniversary" season. Theatrical Vignettes and Music from Past Productions will be presented at Suffield-On-The-Green on September 8 and 9. Some most unusual theatrical surprises await attendees. "Everything Old Is New Again" for Suffield Players, as their Diamond Anniversary Year begins. To slightly revise The Bard: "The Play is STILL The Thing…" even after 60 years. The Players invite everyone to join in the celebration.